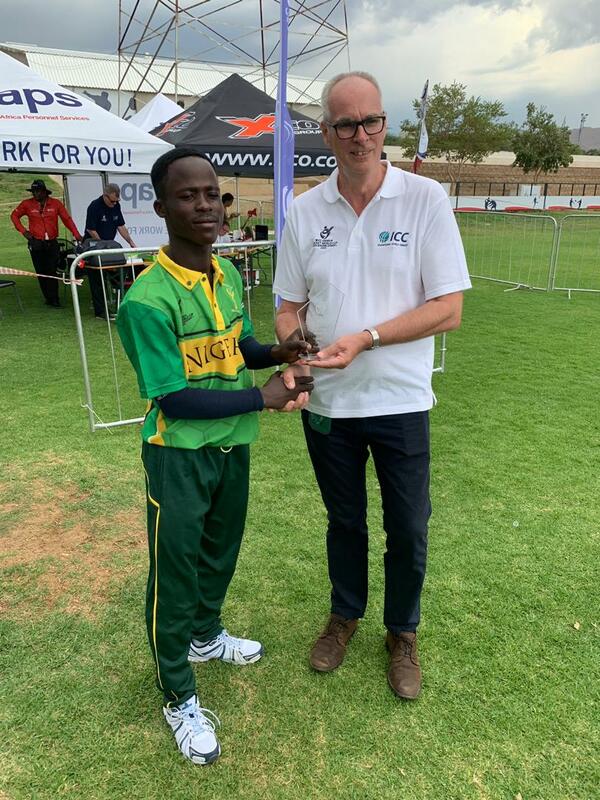 Lighting they say doesn’t strike twice on the same spot, but that has been defiled by the exploits of the “Junior Yellow Greens” as Kenya is convincingly beaten by 58 runs in Match 2 of the ongoing ICC U-19 World Cup Africa Div.1 tournament. 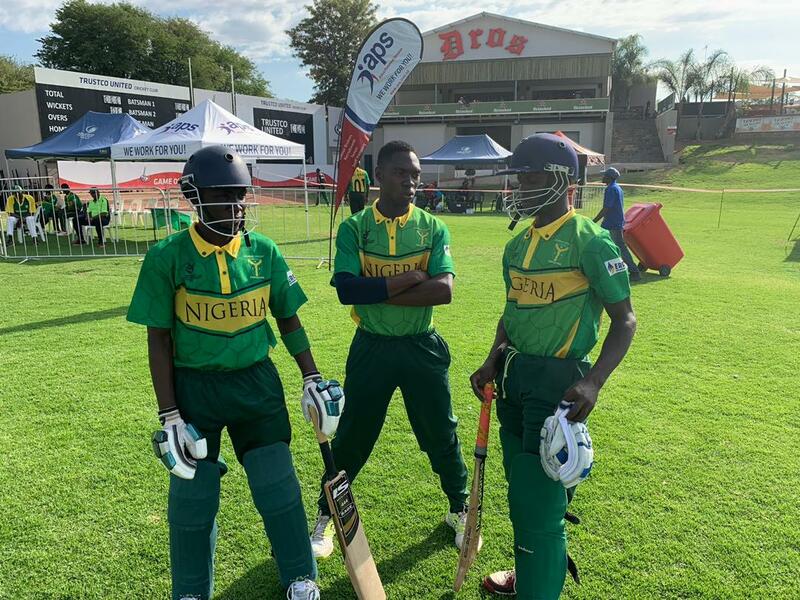 Kenya won the toss and elected to bowl first sending in Nigeria to bat. 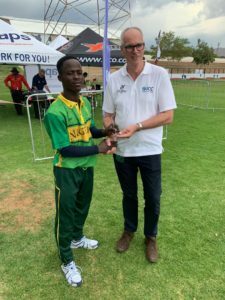 Nigeria scored a total of 201 runs for the loss of 4 wickets in 50 overs. 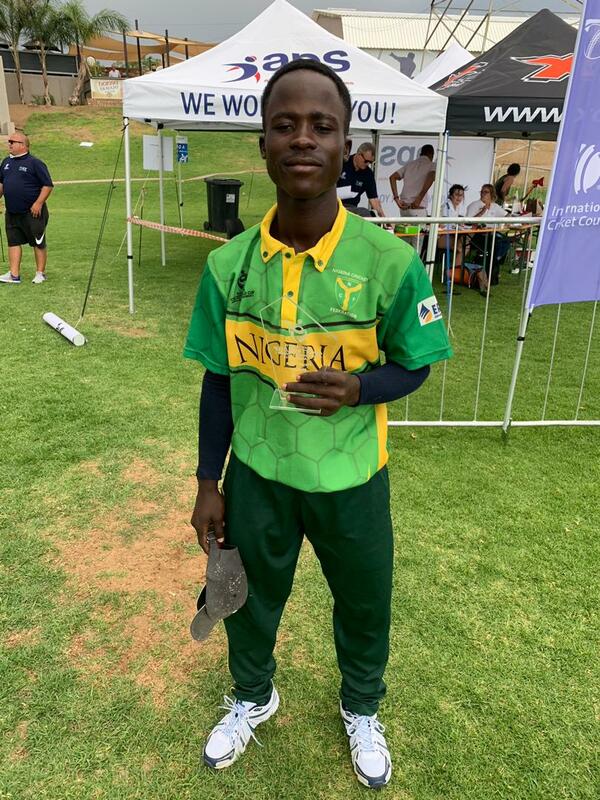 Elijah Olaleye was top performer with the bat for Nigeria scoring 73 runs off 105 balls strongly supported by the Captain Sylvester Okpe with 55 runs off 72 balls and Runsewe Suleiman 41 runs off 67 balls. 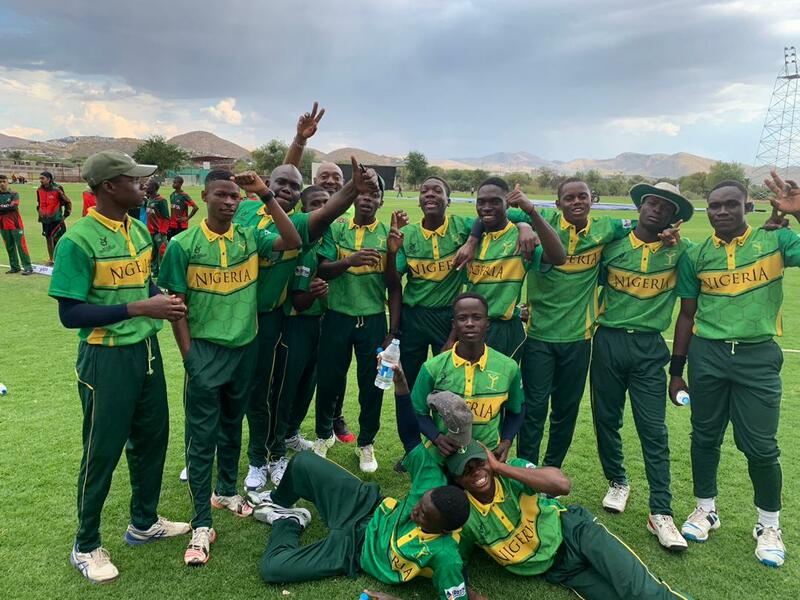 In the second innings, Kenya started brilliantly in thier run chase losing the first wicket after 40 runs. Isaac Danladi and Emmanuel Boniface both had 2 wickets each for 30 and 26 runs after 10 overs respectively. 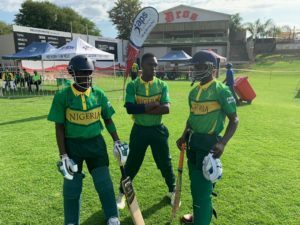 Nigeria will play Uganda in thier next fixture on 20th March 2019…. No Replies to "Giant Slayers Nigeria, beats Kenya to make it 2 wins from 2 matches"